When your drains aren’t working, it can be hard to live your normal life. You can’t use your sink, your toilet, or maybe your entire bathroom. It’s easy to feel overwhelmed and it can be hard to know what is the best course of action. At Dear Services, we are here to help you out in exactly these situations. Drain cleaning is one of our specialties. Let us send one of our Master Plumbers to your home. Our plumber will examine the situation, figure out the best way to clear your drain, and get everything flowing again for you soon. If you have a single drain that needs cleaning, our plumbers can usually clear it with a plumbing snake. They drive trucks with professional grade snakes for just these types of situations. A professional snake is more robust than the kind you can rent at the hardware store, so it is less likely to get stuck in your drain. Combine that with your plumber’s expertise, and you should be clog-free shortly. If there are several drains in the same bathroom or area of your house that are clogged, then the clog is likely deeper in your system. Your plumber will use professional techniques to locate your clog, then they will do whatever is necessary to remove it. No matter what it takes, we’ll get your clogs out so your drains can drain freely again. When your entire plumbing system is clogged, we’ll look in your sewer for a clog problem. We’ll send a camera through your sewer to find the clog. Once we know what it is, we’ll let you know what needs to be done to fix it. Many times, we can fix sewer problems using the sewer access inside your home, so we won’t have to dig up your yard at all. We’ll let you know if this trenchless sewer repair technology will work for you and get everything working again as fast as we can. No matter what type of clog you have, our plumbers know how to free up your drains so they can flow easily again. 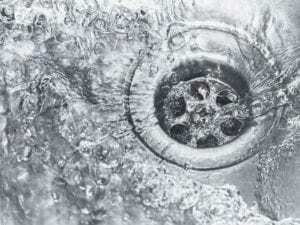 Don’t hesitate to call us with any drain cleaning problems you might have. In fact, schedule your appointment today and don’t worry about your drains again!